I went to South by Southwest a couple of weeks ago, and I wrote about my first couple of days here. On Thursday of SXSW, I headed out to the Broken Spoke on South Lamar for the Twangfest Day Party. The Broken Spoke is a honky-tonk dance hall, that (according to their website) has a history that dates back to Bob Wills and the Texas Playboys. So much about the Broken Spoke is remarkable, but it’s certainly curious to see high-rises in construction on either side of this meeting hall/barn-like structure. On the inside, not much has changed at the Broken Spoke. It’s a restaurant, a bar, and a music venue with a huge dance floor. I saw Kelly Hogan, Bruce Robinson and Kelly Willis, and Dale Watson there. I also caught a bit of the Carper Family and Ron Sexsmith in the small restaurant-like front room. When I arrived, I wandered around to check the place out, and eventually sat down at a table on the edge of the dance floor. Shortly thereafter, I was joined by an older couple who were Austinites and regulars at the Broken Spoke. Thanks to these nice folks, I got a thorough history of not only the table at which we were sitting, but also the property, the room, the repairs to the ceiling, etc., the owner, and the way things usually work at the Spoke. They were generally appalled and irritated that folks were gathering on the dance floor as Kelly Hogan was taking the stage (there’s a sign, and eventually the dancers cleared out the standers). These folks were so nice and informative, and introduced me to other regulars and friends — it was like my own official tour! But the best part was that I got to dance my first official two-step. I’ve gushed about mentioned that I love the Empty Bottle on Fridays, but I certainly fell in love with the Broken Spoke on my first visit! Thursday night, I went down to Sixth Street with plans to see Rodney Crowell, Shonna Tucker, Buddy Miller and Jim Lauderdale, and Emmylou Harris. I saw Rodney Crowell and Shonna Tucker, and was pleasantly surprised to see Shonna’s band is mostly Athens guys that I know. I was heading toward Antone’s to catch Buddy Miller and Jim Lauderdale when I got a text saying that the Waco Brothers were doing a surprise/secret show on the rooftop of a very random bar. I changed directions, and went to see the Wacos. The stage was quite small, which didn’t quite suit the Wacos, but they made the most of it. And there was a fog machine, which was fun and funny. Shonna Tucker and Athens folks! After the Wacos show, I went to grab a bite to eat with a friend, and as we were eating on the back patio, apparently Ice Cube, LL Cool J, and Public Enemy were performing just on the other side of the patio wall. We were able to catch glimpses of the performance on the building-turned-gigantic-vending-machine-turned-screen, and we were certainly able to hear them. And with that, I called it a night. I went to SXSW and survived! This survival is due in no small part to the kindness and hospitality of Piano Friend and his Roommate. Piano Friend let me have his room (and car) even though he was out of town most of the week, and Roommate (having met me briefly one time a couple of weeks ago when I was visiting) was so nice and helpful… and even made me coffee in the mornings. I know, right?!? Seriously, these are just two more folks I’m blessed and privileged to know, and can’t say enough how much I appreciate them! 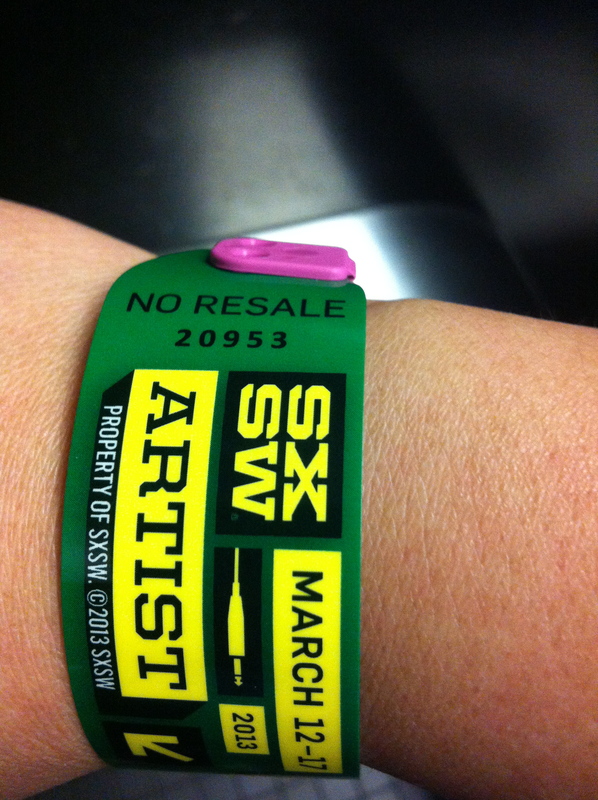 I was lucky enough to get an artist wristband, but really, I only needed it a few times. In some respects, it was kind of wasted on me, but I certainly felt cool wearing it all week! Why didn’t the wristband get used to its fullest? Because at any given moment there were at least 3 million Things going on, and only 1 million of those Things were official. I regret that I never made it to any of the panels in the convention center, nor did I take advantage of the Artists Lounge. I went to the Saxon Pub out on South Lamar and saw Butch Hancock with his (young) son Rory; and Jimmie Dale Gilmore and his son Colin. Great bar with a lot of character (and old people), great sound, and both acts were amazing. I also made it out to the White Horse. Saw a couple of alt.country-ish bands that I liked: Turnpike Troubadours and American Aquarium. Good bands, cool dive bar, mediocre venue & sound. What I learned on Tuesday is that having a car greatly enhances one’s South By experience. I may have waited a couple of hours for a bus, which kind of negated my “don’t stay out too late” plan. I know South By is the exception, and it’s probably an unfair comparison, but Capital Metro is no CTA. Since Piano Friend had left me his car to use, on Wednesday, I did some driving. 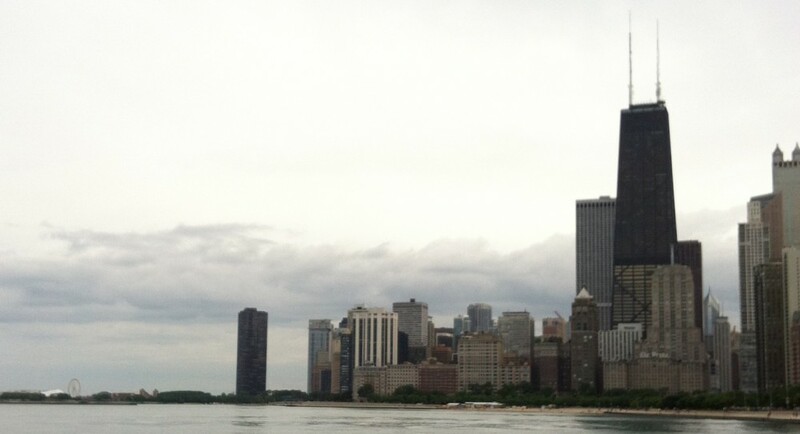 I spent some time wandering around downtown. I discovered that this was a really calm day, as one could actually walk down Sixth Street fairly easily! I saw Athens band Easter Island at the Paste Magazine / HGTV (outdoor) Stage at Sixth. I stopped in to see Caitlin Rose (and her many musician-ed band) at the Brooklyn Vegan party, and even though they had not-very-good sound, I thought they played a strong set. I also caught a wee bit of the Camper set here. Wednesday night was the Bloodshot showcase at the Continental Club on South Congress. Another great venue, I heard from some Austinites, this is a club with a lot of history, and the owners have kept it up quite well. It has a nice retro vibe, and a great sign behind the stage, and classic neon sign outside. The Bloodshot line-up was strong: Luke Winslow-King, Murder By Death, Deadstring Brothers, Lydia Loveless, JC Brooks and the Uptown Sound, and the Waco Brothers. JC Brooks and the Uptown Sound being awesome. If they come near you, go see them. You’ll thank me later. 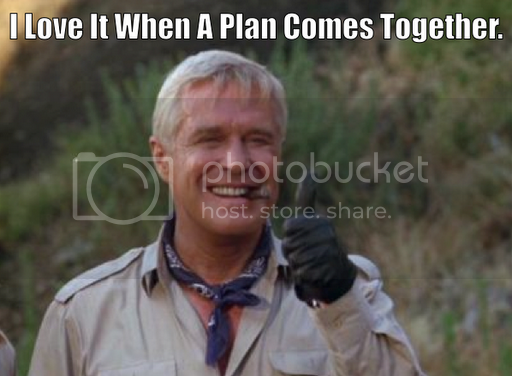 So says Hannibal Smith of A-Team fame. I’m currently planning three trips: one to Charleston, SC, and two different trips to Austin, TX. Charleston is for a conference, Austin 1 is for a conference, and Austin 2 is for South by Southwest! For each of these trips, I’m working with friends (that I haven’t seen in a long time) who live in these locations to meet up and catch up, including my first Athens, GA roommate and the Grand Master of Discourse! It’s very exciting. In spite of all of this excitement, I find myself in a familiar place… checking flights obsessively, and not willing to commit. I always think my plans might change so I should wait a little while longer, and then I think the prices just might be cheaper tomorrow. Or the next day. However, I have a feeling that flights to Texas will not get much cheaper than what AirTran and Southwest are offering right now, so I KNOW I should just go ahead and book the flights. But I’m also a professional procrastinator, so maybe I’ll do it tomorrow.